After my recent trip to the Lakes it was clear that my Marmot Hydrogen wasn’t up to dealing with temperatures below freezing, even bolstered with a bivi bag, a primaloft top and, well, I should state that I wore all my clothes including gloves and a wind shirt. I wasn’t cold but it is uncomfortable sleeping with that many layers on. I could of course packed my Rab Ladkh 800 it’s rated to -15c but it’s bulky, heavy, and been adopted by Penny. Earlier in the year I doubled up sleeping bags but that method is even heavier and bulkier that the Ladkh. An upgrade of my sleeping bag was needed particularly as I’ve slot on the Challenge. I know only too well what the weather is like in Scotland in May from experience and from listening to Bob’s podcasts. So on my return to London I set about a search, my criteria were simple the bag should be OK for temps down to -10c, weight less than a kilo and be cheap. First port of call was the guys at Alpkit but they were out of stock of the Pipedream 600, and weren’t going to have any in until March 2010, fine for the Challenge but not for the intervening months. Next was PHD and I had a crack at making my own. I kept it simple short side, zip no collar just like the Marmot but with more stuffing. The result was an eye watering three hundred quid plus price tag. I then checked out Cumulus, one model fitted the bill but was a bit over budget. I did a round of the high street stockists of Mountain Equipment, Rab, The North Face and Mountain Hardware, and only the Mountain Equipment Xero 550 made the grade but was more over budget than the Cumulus. Back online I dropped by BPL UK and they have a small range of bags and the Golite Adrenaline 20 grabbed my attention. At £190.00 it was the cheapest I’d found so far, it weighs 900g ands is rated to -7c, not the -10c that I was looking for but close enough. 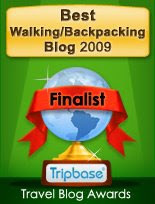 I found a review done on the bag by Chris Townsend, which confirmed that it would be a good choice. Unfortunately Bob and Rose were out of stock, I had a long chat with Rose about other options but none came near. Back online I found that Mark Richardson had stock so promptly ordered one, not as cheap as BPL but still within budget. I’ve not had the chance to use the sleeping bag in its intended environment but I will confess that I did spend one night in it indoors. The lining is silky smooth, and bag is topped and tailed with Pertex Endurance which is waterproof. I don’t know why other sleeping bag manufacturers don’t adopt this approach because many a time I’ve found the foot of my sleeping bag damp, and this was a perennial a problem with one of the tents I used to own. I tested the material and the water beaded off nicely. The foot of the bag is shark tailed which matches the natural angle of the feet when at rest on your back. And it has a half zip on the front of the bag. How I get on with this unique arrangement will remain to be seen. I hope to get out in the next few weeks to test this, the Scarp and the Golite Peak so more to follow. I stopped by the Kew branch of the The Good Wine Shop on the way home from dropping off Christmas presents for Ben, to pick up a bottle of La Flor to go with the sausages, and a half bottle of Rutherglen to go with the pud on Christmas day. I also joked that if the photo was too blurry it still might get sold as I’d have to come back to get a better shot. Being a talking point The Deer in Headlights bottle has become a sort of emblem for this small independent, so it’d be interesting to see what they do if someone makes them an offer they won’t refuse. 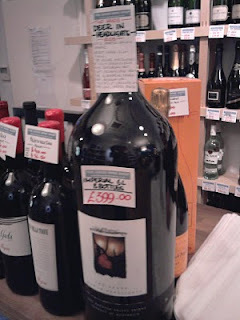 So if you’re in the area pop your head around the door, and a strike up a conversation about the very large (and very expensive) bottle of wine. I drove to Parcel Force's depot in Mitcham to pay the ransom that they and Customs had levied on the Scarp 1 and collected my belated birthday present (or early Christmas one). The set up is straightforward; assemble the main pole and feed through the sleeve, locate the ends in the grommets, and with the six supplied pegs, peg out the corners and centre. Adjusting the pitch is equally easy. This is the first tent that I've owned that can be pitched as one and I like the idea. As hoped I can sit up in the tent and there's plenty of space for one person. Ideal for a venture like the TGO Challenge in fact. It could even be used as a mountain marathon shelter for two as it has two porches. I'm going to have to persuade Penny to try this out on my next test pitch but will hold on to the idea that it was bought as a ONE person tent. There's enough room in the porch space to park a pair of Terrocs and a rucksack so one could be used for storage the other for cooking, or not at all. If you're worried about cooking under cover then the inner can be pegged back to create more ground space however you'd still have the cross tension band in place. Venting options are good; there are short zips at either end, two roof vents and the fly sheet can be gathered up the pole on either side. There's a buckle at the bottom of the zip that can be used to keep the flysheet closed and the zip open for another venting option. The zips on the fly aren't two way however but the buckle can be used to hold the flysheet in place with the zip either fully opened or partially zipped up. The buckle has another use in taking the strain off the zip which is a good thing. The zips on the ends don't have buckles and are prone to parting unfortunately, and there's also an elastic loop that I haven't worked out how to use yet. The roof vents are closed by Velcro and an elastic loop and hook. And are kept open by a loop and hook internally. From my first attempt this can be done from inside (once you've had some practice). The inner is mostly material with mesh at the apex; it's a long time since I've owned a tent that's like this. Most are where the inner is wholly mesh or in the case the majority of my shelters the inner is wholly non existent. A double zip means that you can adjust venting of the inner on either side. At the top of the zips on the inner is a D ring and at the apex of the inner a clip. All ideal running a drying line or, in case of the clip, hang a lantern from. There is a pocket on either side too. Given the size of the pocket I'm not overly convince of their use; they could take a head torch like a Petzl Tikka but just that. I've found that there are two patches on Velcro on the under side of the groundsheet, I'll need to drop Henry an email as I'm baffled as to why they are there. The inner doors can be rolled up and held in place by tying the two lengths of material supplied to do this. I've never found that this is a satisfactory way of keeping a door tied back. I may look to modify this by making a loop and using a friction toggle on the other, that can be feed through the loop to hold the door more securely. That said the simple overhand knot I used stayed put during the time I got in and out of the tent. The doors on the outer have Velcro retainers. With Christmas and the end of the year fast approaching I'm not sure when I will be able to sneak out for an overnighter to give it a proper try out. Before I do I will be sealing those seams and especially the stitching around the Velcro patches on the groundsheet. I usually have a baseball cap on my kit list for most of the trips, only swapping it out for the classic Lowe Alpine Mountain Cap when the weather is going to be really grim. The humble baseball cap is the cornerstone of my flexible head gear set up, it keeps the sun, rain and occasional snow flurry out of my eyes. It’s wind resistant but being unlined it’s not that great at keeping my head warm in the colder months nor keeping the wind off my ears. The second part of the arrangement is a Powerstretch beanie. This add a surprising amount of warmth when worn under the baseball despite its thinness and can be pulled over the ears to provide respite from chilling wind. And at only 28g it’s not going to break the gram bank. It doubles as a nightcap too. The final part is a buff. I bought a me-too one not an original as I think that twenty odd quid for a tube of material is excessive. Venting the neck area is a great way of cooling down but when it’s chilly it’s nice to have something to plug the gap especially when the collars on some base and mid layers don’t seem to co-ordinate that well. I tend to think of it as a removable polo neck. The flexibility of the tube of material means you can arrange it to cover more of your head ears, and mouth when required, like when you might fancy doing a Lawrence of Arabia impersonation or robbing a bank. And if the wind is particularly strong the buff can be pulled up and over the baseball cap to keep it from flying away. Off to do a bank job? Upgrades to this system; I'd replace the cheap but still effective buff for a merino wool one, and perhaps use a wind/rain proof cap if you can still buy one. 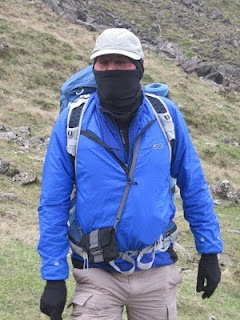 The photo of the Lawrence look-alike was taken on a recent trip to the Lakes by Adrian Strand. As promised I've taken a closer look at the bag. The hip fins are easy to remove being held by Velcro tabs, double sided means a secure attachment but I'm still wondering about how well these will work with loads when approaching the claimed 30lb maximum. Golite's rucksack ideology goes back to Ray Jardine who wasn't a fan of hip belts for the simple reason that if your load is as light as you can make it hip belts are effectively redundant. And since a lot of weight in rucksacks is the hip belt and back system it makes sense to strip these out or pare to the minimum to save weight. That said I still feel that even with lighter loads some transfer of weight to the hips is essential. It lowers your centre of gravity adding stability, and if you're running, jogging or scrambling then a hip belt will keep the load from moving about. From a personal point of view I won't bother to look at a rucksack that doesn't have pockets on the hip belt. Removing the hip fins will save 133g. As stated the foam back insert is removable and can only be done if the 'sack is empty, and even then it's a struggle to get out as it fits tightly. I ran the foam under a tap and although it doesn't look like closed cell foam it didn't take up any water. If you use three quarter length mattress or pad then the bag can be put under your heels if required but I wouldn't bother going to the effort of taking the insert out. The foam insert weighs a measly 44g. With the hip fins and back insert removed the stripped down weight is 586g. Working from home has it's benefits, I can pretty much stop what I'm doing and head out of the door. As soon as snow started falling I togged up and headed out the door with Harry. I've a choice of routes but the one that I favour is a wander through Ham Common Woods to Richmond Park climbing up to Pembroke Lodge for a coffee stop. Pembroke Lodge is a Georgian mansion which was once the home of Bertrand Russell, the view from the terrace is a expansive one and on a good day there are a number of landmarks that can be made out some easier than others (Heathrow airport and Twickenham Stadium). Since I had Harry with me I wasn't allowed in to the house and grounds so had to make do with a coffee from the shack and it being midweek it was quiet. At weekends the car park at Pembroke Lodge is a place where dog walkers, ramblers and sunny day cyclists converge and the Lodge and shack become overwhelmed. Just north of the Lodge is a mound, Called King Henry's, where there's a telescope making easier to spot the more elusive landmarks like Windsor Castle. You can also look back to the City along St Paul's Vista. This day however the gap in the trees that create the vista was the only thing I saw. From Richmond Gate there's a path that runs parallel to Star and Garter Hill down to Petersham Gate, I took this and there was now a sprinkling on snow covering the trees and brambles. Through the gate and across the road, Richmond council finally installed a crossing here last year, even with the traffic lights at the bottom of the hill getting across this bit of road was a test of skill, timing and nerve. Past Petersham Church, where George Vancover is buried, I left the Capital Ring and followed a series of narrow footpaths skirting walled houses and school playing fields to the Thames. I've walked and biked this stretch of the river countless times so I poddled along on autopilot with my mind on other things passing Marble Hill House and Ham House without a single glance. At Teddington Lock I picked up the Thames Cycle Path and followed this through to Ham, and home. I've had a CD37 on home audition for the last couple of days and in between the various building works I've had a chance to listen to the player. The CD37 is a natural upgrade to the CD72 that I own (now available to purchase on gumtree if anyone is interested!) An interesting point to note is that one of the reasons for buying a CD72 was that the DACs could be upgraded to the similarly award winning CD92/CD192; a 192 upsampling improvement over the 24 bit DAC in the CD72. However by the time I made a decision to upgrade Arcam had revamped their CD player range and the boards were no longer available. Straight out of the box the it was clear that there was a need to run the player in, over the last couple of listen sessions there has been a marked improvement with greater definition and more detail being pulled from the discs. The sound stage is wider and fuller than the CD72, with greater separation of the instruments and voices; the close vocal harmonies on Gillian Welch's Orphan Girl along with the sparse guitar picking stand out. One thing I like about Arcam's sound is that it's laid back, not strident or aggressive so you can enjoy hours of listening without the feeling that your ears needed a rest. Not all Arcam's disc spinners were this easy going, I once auditioned an Alpha 7SE and after twenty minutes I was longing for the quiet dead of night. The transport and tray are solidly engineered, and the player takes time to load and read discs, no doubt due to the fact that it also plays SACDs. I don't own any of these although I've ordered one up from amazon to get an idea of what this format does sonically. I won't go into my cynical view of vinyl vs CD vs other formats here, I'll save that for another post. Suffice to state that the SACD format hasn't taken off as perhaps Sony would have hoped, no doubt not helped by the iPod generation, streaming and downloads. Which leads nicely to why spend a very large chunk of cash on a seemingly soon to be obsolete item of hi-fi? There are personal and practical answers to this question. I've amassed a large collection of CDs and I prefer to spend time listening to the music rather than copying it to a hard drive, mp3 player or whatever, that is when I'm not out enjoying the hills and fells. And when I'm out I prefer Natures Soundtrack so I have no need to carry my favoured tunes around on a flash drive. Chanukah starts this Friday so I was out on a mission to find a menorah. Back where I grew up this would have been a easy task; walking up to Stamford Hill and having a browse around the shops on the parade. In the depths of northern Surrey I'd have to improvise. Philip Werner suggested that I make one (Brent Council have a PDF on their website with instructions for a menorah made from recycled materials in case I was that way inclined). 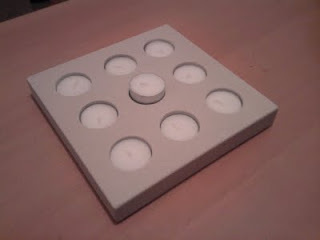 However I was going to find a candle holder to suit the Festival of Lights needs; it must hold nine candles, one for each day of the Festival and one for the Shamash, which the other candles are lit from. The menorah is one of the enduring symbols of Judaism and is traditionally a linear affair but then there's tradition, and then there's tradition. My offering is a modern take on on this, well that's my belief.